I just flew across the country and took a bunch of cool pictures of lakes from the plane because they sometimes look like cartoons. 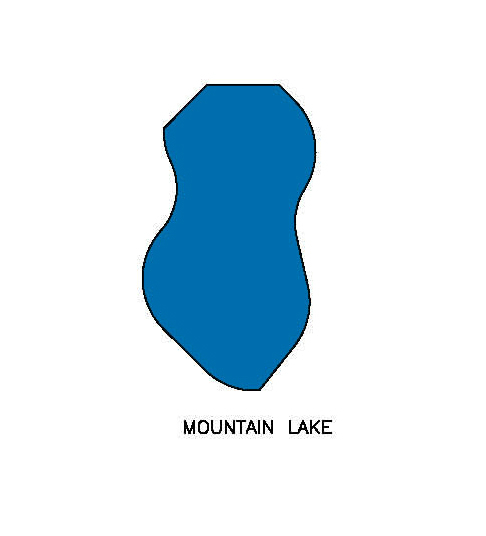 So this one looks like an elf holding a machine gun (two lakes) but I don't know where the actual lakes are now. Lake recognition. Image search should be on the way to solving this? Combine search on image upload (your photo) plus keywords ("Lake" and country / region). I was really impressed by this post until I got to the bit where you said you'd used a plane. Haha, MB, but then he is JHC. I like this idea, a lot. You should be loched up, the lot of you. norm, that'll take way too long. I might bun this if you could enter search terms like "elf holding a machine gun" and then would be given aerial photos of natural features that satisfy the criteria. Because what if there are other pairs of lakes that look even more like an elf holding a machine gun! In Kyrzykstan. //Next up, glacial recognition.// Too complex. Start by trying to get decent beach-to-text. I've come to believe the concept of the half bakery is lost on some people. Apparently it's lost on most people, for better or worse. //I've come to believe the concept of the half bakery is lost on some people// Go tell that to the last trebuchet victim. And what about the countless Comic Sans victims. And it's not called Impact for nothing, you know. //I've come to believe the concept of the half bakery is lost on some people.// I've come to the concept that some people are lost in belief of the half bakery. It's a solved problem: tineye.com and reverse image search on google directly would find those lakes for you. Only given that you took the picture from the same angle as the comparison model. So the halfbakery is about baby bell jars and that sort?